Accompanying the recent housing crisis, there have been a significant number of evictions in the wake of the mass foreclosures. The Bay Area has had its share of foreclosures with banks foreclosing on homes in San Francisco, Oakland, and Berkeley. The information on our website is primarily for tenants who are caught up in the foreclosure process and suddenly find that their landlord is a bank. Often tenants are wrongfully evicted in the process of foreclosures, so it is important to know your rights. An attorney at Bracamontes & Vlasak, P.C., in San Francisco can inform you or your rights as a tenant during a foreclosure. The answer partly depends on where you live. If you are in San Francisco, Oakland, or Berkeley (or anywhere else that has a similar rent ordinance requiring just cause for eviction), and the dwelling you live in is covered by the rent ordinance, then generally speaking the new owner cannot make you vacate just because there was a foreclosure. The bank may be your new landlord, but you have the same rights as before. The new landlord still needs “just cause” to evict you under the rent ordinance, if the landlord wants you out. Even if an unlawful detainer action has been filed against you in this situation, you may be entitled to substantial relocation expenses under the applicable rent ordinance. There have been reports of real estate agents and new owners asking people in rent-controlled units to move out just because there was a foreclosure. This is improper and can lead to liability for Wrongful eviction depending on the methods used. You do not have to move out just because a real estate agent or bank asks you to. 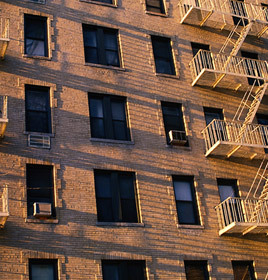 Sometimes tenants are scared to speak up because of their immigration status. Do not be scared for these reasons. Your rights as a tenant are the same regardless of your immigration status. Do not move voluntarily or take a low buyout offer before speaking with an attorney. If you are a long-term tenant, and you live in a San Francisco, Oakland, or Berkeley building that has been subject to foreclosure, you should contact our office to ensure that your rights are protected. Once you have an attorney, we will do the work for you. Real estate agents or representatives of the banks have been offering tenants a modest amount of cash if they agree to move out. Often they offer as little as $500. Some Bay Area tenants not knowing their rights accept these cash-for-keys agreements and move out, when they may be entitled to 10 times that much under the Rent Ordinance. In one case, we got a tenant over 100 times the amount he was offered initially by the bank to vacate and give up his rights to sue. Don’t let the banks take advantage of you. If you are a long-term tenant in a rent-controlled home or apartment, you could be entitled to significantly more money than the banks are offering. Also, if you do not want to move out, you may not have to. Make an appointment for a free consultation with a San Francisco tenant attorney at Bracamontes & Vlasak, P.C. You can also call the office at 415.835.6777.